If you have not already bought the candy for 2013’s batch of Treaters, you’re in luck. Today, we are going to hand out 2013’s Best of Halloween awards, with this year’s emphasis on Treats. 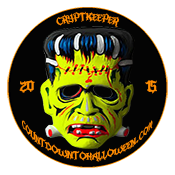 The Big Scare is run by some very scrupulous candy connoisseurs, and we are proud to share with you our picks for the Best Halloween Treats of 2013. Our pick for best artwork goes to Nestle’s Ultimate Scream fun-size candy pack. This 45-piece bag of goodies is filled with Nestle’s top sellers, like Crunch and Butterfinger. But, as with our last post, it’s really what’s on the outside that counts for this award. Clearly, this bag was created by a Monster-lover. 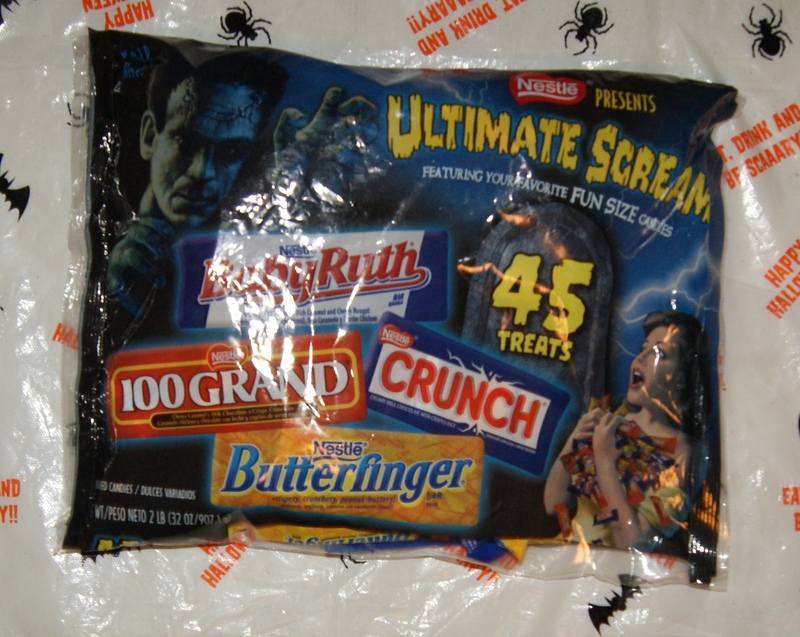 It’s true that this package has been around for a while, but it still has yet to be beat, except by Nestle’s now hard-to-find companion pack, Classic Scream. The image of the Frankenstein Monster and the “scream queen” is simply iconic. Too bad the Dracula bag is no longer widely available, as it would have easily tied for this award. Better than any officially licensed food-product from Universal Studios, this bag scares up first place in the art department. Our winner for the Best Halloween Assortment award is one that will be familiar to seasonal enthusiasts. Anyone who has been reading the Big Scare since its launch will know that we are huge on themed-treats. The bland, boring fun-sized candy like the treats in the bag above do very little for us. It’s Halloween, and that means we have high-expectations for the fun-level of our candy. 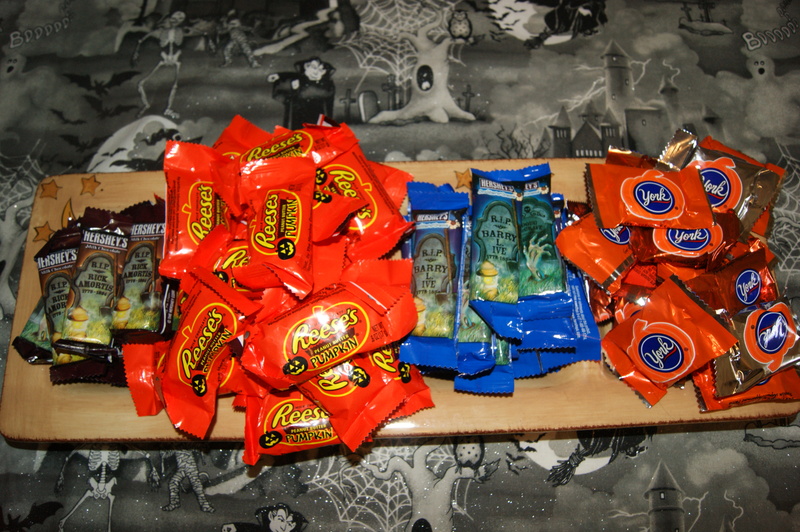 In terms of fun, it’s hard to beat the Hershey’s Halloween Shapes Assortment. This package of treats is the ultimate combination of taste and terror. Between the York Peppermint Pumpkins, the Hershey’s tombstones, and the Reese’s pumpkins, the taste quality is hard to beat… and so are the shapes! The award for Best Halloween Candy is not given lightly. A lot has to be considered before the award is bestowed upon a creepy candy-maker. That being said, this year’s winner is Palmer and its 3-pound bag of Monster Munch chocolate candy. 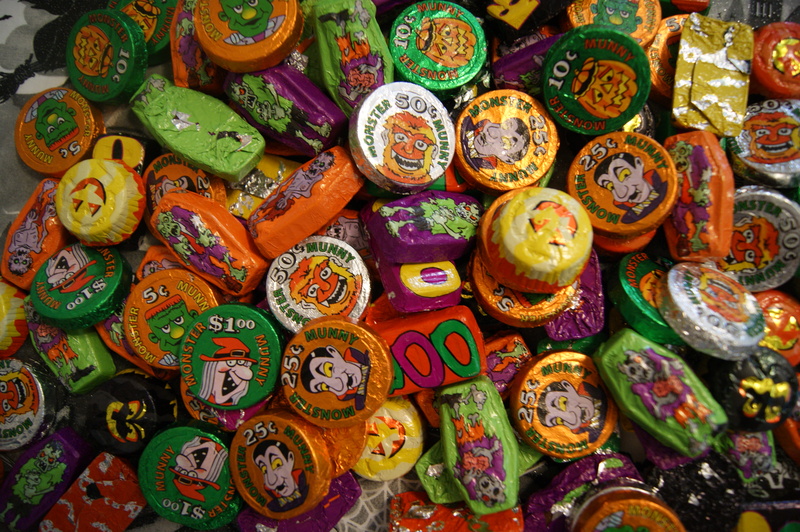 For decades, Palmer has been one of the staunchest supporters of themed Halloween candy. From the old-time Witch Pops to the classic Monster Munny (Money), Palmer has been the mastermind behind many a child’s Halloween memories. So, it seems only fitting that a giant bag of Palmer monster-shaped candy should be the winner of 2013’s Best Halloween Candy award. In this massive package, you will find 3-pounds of chocolate treats — all appropriately themed and decorated. First is the Monster Munny (Money), an item which has been around for decades. Featuring the cartoon likenesses of Dracula, the Wolf Man, Frankenstein’s Monster, the Witch, and a Great Pumpkin, the Monster Munny (Money) is a very special treat. Split up into demonic denominations and made of Palmer’s fantastic double-crisp, it could only be beat if the chocolate were molded to look like the tinfoil wrappers… Also included in the Monster Munch are two-tone Peanut Butter Pumpkins, which do come shaped like jack-o’-lanterns, yummy, soft fudge-filled Boos, and the most creative of the lot: milk-chocolate zombies (white chocolate corpses in chocolate coffins). This set can simply not be beat. Not only is it tasty, but it has all of the heart that Halloween candy should have. Congratulations to Palmer and its Monster Munch!